Do you know this monumental building for peace in Japan? This is the last week of my business trip to Japan. So I went to Hiroshima which is in the west part of Japan. Because I would like to look at one of the most famous old buildings in Japan. 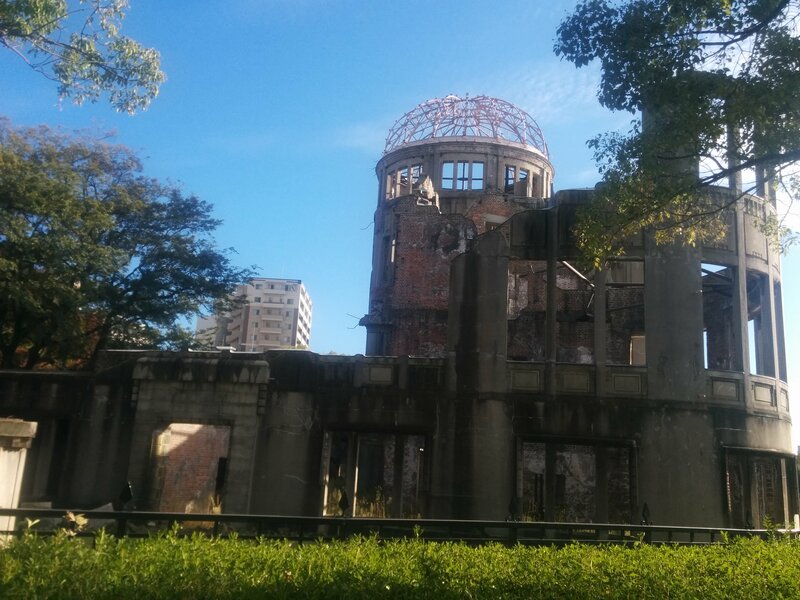 This is called “Hiroshima Peace Memorial” ( In short, Genbaku dome in Japanese). As you know, Hiroshima city was attacked by atomic bombing by US army in August 1945 and more than 100,000 people were killed. This building could survive under the attack of this bombing. Therefore, in 1996, the Genbaku dome was registered on the UNESCO World Heritage List based on the Convention for the Protection of the World Cultural and Natural Heritage. Many foreigners come here and see what was going on there in 1945. I am very glad for them to come to Hiroshima and share our thoughts with them. It is good for many people from abroad to come here and think about peace of the world. The problem is Hiroshima-city is located far from Tokyo, center of Japan. Many people use “Shinkansen” or “Bullet train” to go from Tokyo to Hiroshima as it is very convenient. It usually, however, costs more than 18,000 JPY (around 600MRG). Some foreign tourists may give up going to Hiroshima because it costs too much. To solve this problem, I would like to recommend using domestic flights from Narita to Hiroshima. In my case, it costs around 8,000 JPY (6,000 JPY for a domestic flight, around 2,000 JPY for access from cities to airports), although it takes a little more time compared with Shinkansen totally. This flight is operated by Spring Japan. I would like to recommend this flight for everyone as it is smooth and comfortable. 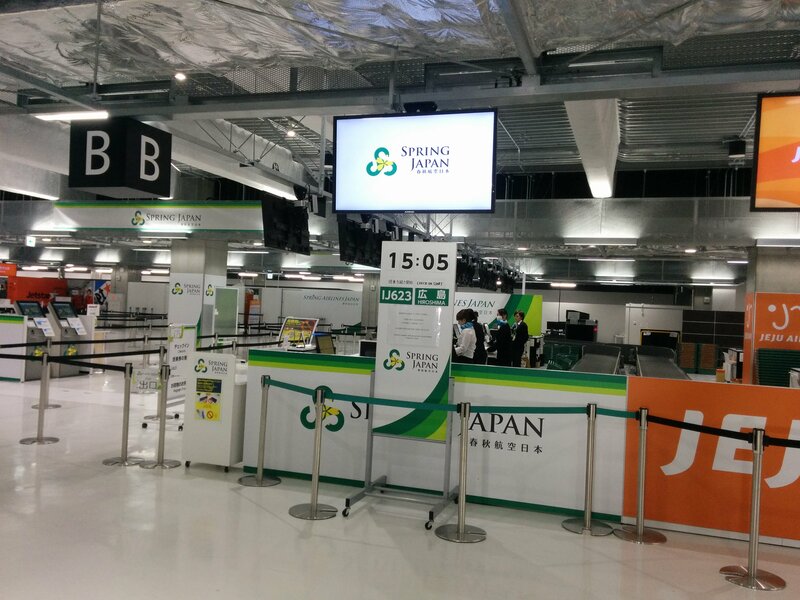 This picture is the counter of Spring Japan in Narita airport terminal3. Most of foreigners arrive at Haneda or Narita international airport in Japan. I think It is a good choice to visit Hiroshima after visiting Tokyo. There are some international airports in the west part of Japan. The biggest one is Kansai international airport in Osaka. Hiroshima also has its international airport. So they can go back to their home countries from these airports after visiting Hiroshima. When I have a business trip to Japan, I usually arrive at Haneda international airport in Tokyo and leave Japan from Kansai international airport because I should move around the west part of Japan during my business trip. I used only Shinkansen to go from Tokyo to cities in the west part of Japan before. However, as domestic flights are increasing, especially flights operated by low cost carriers are increasing dramatically, now that we can have a lot of choices going around Japan. Why don”t you use domestic flights and enjoy more in Japan, too? This is an additional information about convenience stores in Japan. 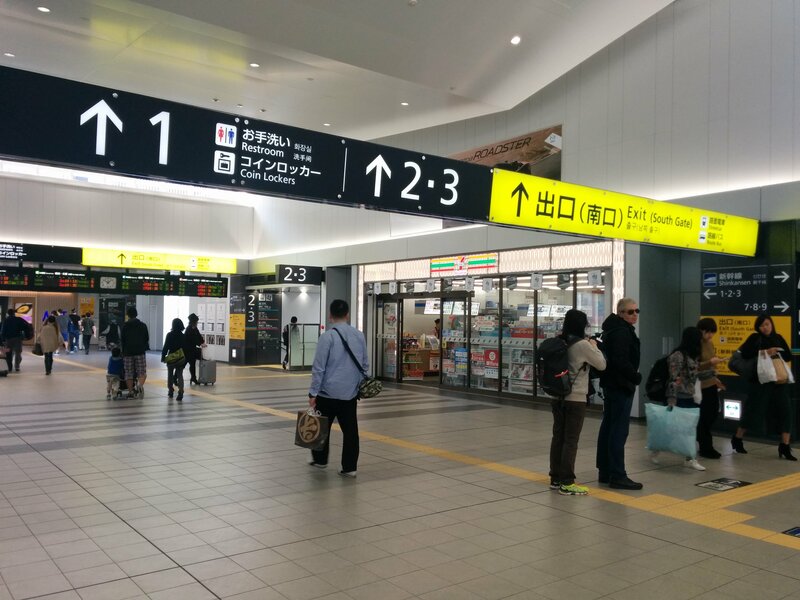 Now there are many convenience stores inside ticket gates at stations. So you can enjoy shopping there just before getting on the train! OK, I am going back to Kuala Lumpur tomorrow. See you there again!